Marrakech is one of Morocco’s former imperial cities. Based on its central location, the city has long been a significant trade center, a crossroad of various interlinking merchant routes, where craftsmen from far and wide would gather to exchange goods. 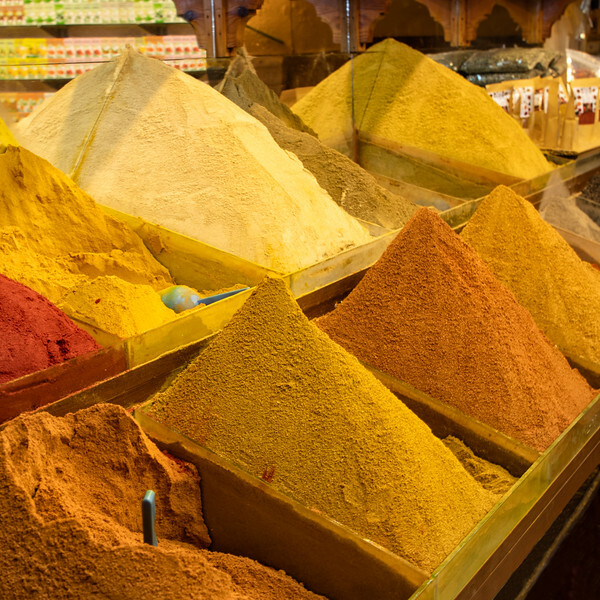 The heartbeat of Marrakesh is undoubtedly the souks or markets of the medina (the old city). They are a honeycomb of connecting alleyways where all five senses are alive. Exotic fragrances of argan and peculiar spices fill the air.